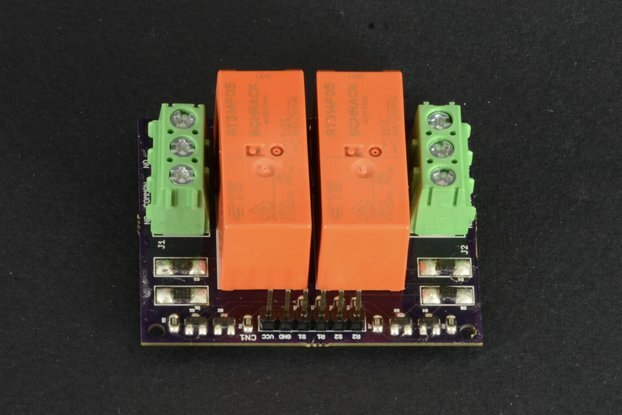 This single Relay is controlled by a PIC microprocessor that has one Trimmer for adjusting the relay ON Time from 1 second to 4 minutes and it has another Trimmer for adjusting the relay OFF Time from 1 second to 4 minutes. This will allow you to have various different duty cycles. For those with Microchip PIC programming experience, the PIC12F510 may be removed and re-programmed as desired. 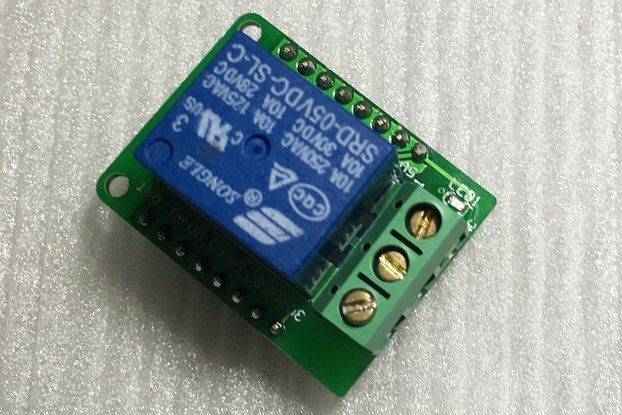 There are two DIP Switches on board that are available for programming. The Relay contacts are rated for 7 Amps @ 125VAC. The contacts are Form C with a COM, NO & NC outputs available. There is a LED on board that comes on whenever the Relay comes on. The input power is 6v. The Relay coil is 6v. 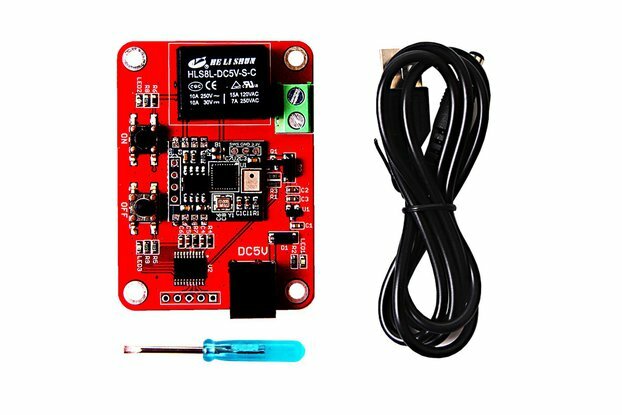 There is an on-board Voltage Regulator (5v) for the PIC microprocessor. The kit is also offered as a "Built & Tested" for those that do not want to build it themselves. The PCB is 2.0" x 2.5", made out of .062", FR-4, 2-Layer, 1-ounce copper.